As you pull into your driveway after a hard day at work you click the remote control conveniently placed in the car to get your garage door to open. You just picked up your eight months old baby from the daycare and were in a hurry to get her home. But the door doesn’t open as it always does and in the meantime it is raining hard outside. What are you going to do? You wonder as you constantly press the remote to try to open the door. What you could do is call Thompson Garage Door Repair Phoenix AZ who can come quickly to help you in repairing a garage door opener. Are you thinking about replacing your entire door of your garage because some of your panels are badly dented and rusted? 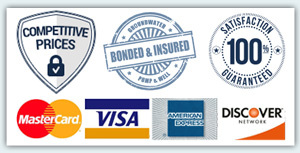 If this is something that you are contemplating on, call us in Phoenix AZ and we will help you. 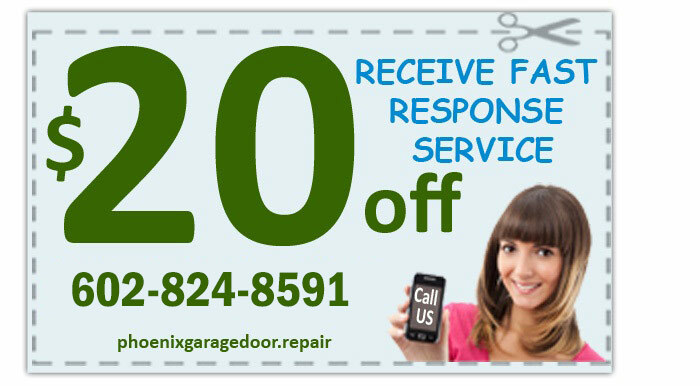 When arrive, we might recommend that we do garage door panel repair instead of replacing your door. This will save you money and give your door many more years. 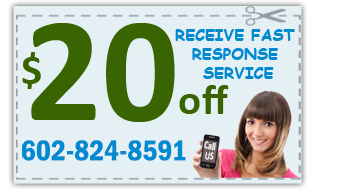 Our technicians are some of the best in Phoenix AZ and within minutes will be headed your way to help you. Many things can and do go wrong with your garage’s opening system. 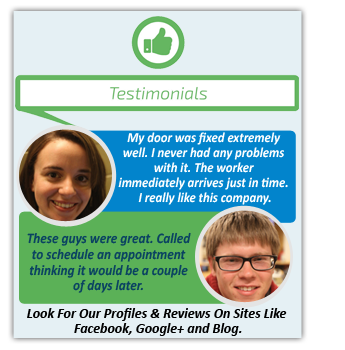 What is important is knowing how to fix the problem, which is something that our technicians know all too well. With the level of knowledge and experience that we have, we can help you repair garage door spring quickly. This is one of the parts we never run out of because so many homeowners as for it especially in older homes. 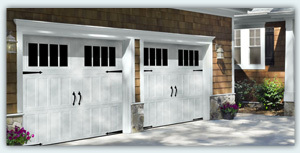 We can also help you with garage door cable repair to ensure that your door continues to serve you well and that you continue enjoying pulling in your garage without being rained on.